Inflammation is a hot topic these days – and for good reason! Chronic inflammation is being linked to many diseases including heart disease, rheumatoid arthritis, Alzheimer’s, Parkinson’s and cancer. The typical American diet can cause inflammation. 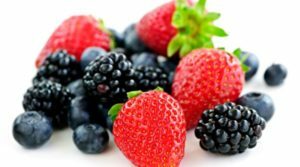 It’s rich in pro-inflammatory compounds, and low in antioxidants and other nutrients that help to prevent and control inflammation. The good news is that diet and lifestyle changes can help decrease inflammation as well as improve overall health and future health risks. First, not all inflammation is bad. Acute inflammation in the body helps us defend against bacteria and repair damaged tissues. For example, when you cut your finger, it gets warm, red and swollen. This “inflammatory cascade” triggered by your immune system is your body’s attempt to heal itself. Once the threat has been taken care of, the inflammatory response shuts off. 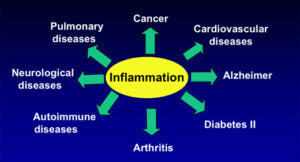 However chronic inflammation plays a causative role in numerous diseases. 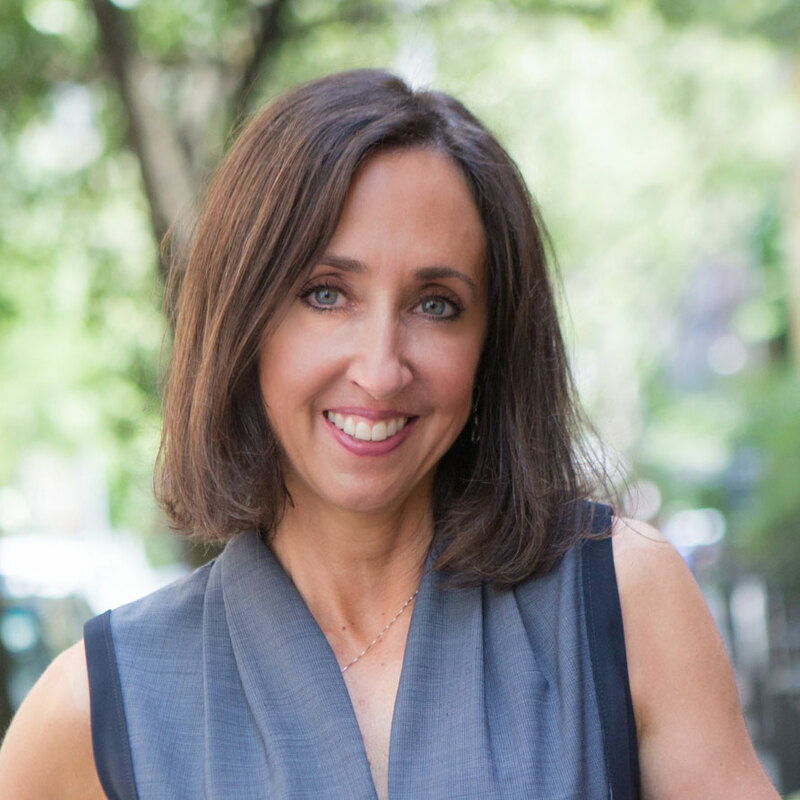 As per Dr. Susan Blum, MD, MPH, author of The Immune System Recovery Plan, “Think of inflammation as irritating chemicals that are released by your immune cells. 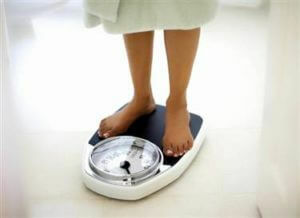 If this occurs in an ongoing way, damage occurs and health problems can show up in any part of the body”. Signs of inflammation could include increased inflammatory markers in the blood, including C-reactive protein, interleukin-18, monocyte chemoattractant protein-1 and white blood cell count. People who are obese and insulin resistant tend to have higher inflammatory markers, but even lean people can have elevated inflammatory markers due to medical conditions or lifestyle habits. Lifestyle factors such as stress, inadequate exercise, lack of sleep and the typical Western diet rich in meat, sugar and refined carbs can all contribute to chronic inflammation. 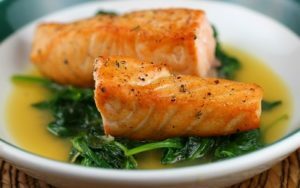 Here are my top 15 diet and lifestyle tips to decrease inflammation. Lose weight if overweight. Even losing 5% of weight will decrease inflammatory markers. Get adequate sleep. Scientists at Emory University School of Medicine in Atlanta, Georgia, found in a study that sleep deprivation or poor sleep quality raises inflammation, which in turn increases the risk of developing heart disease and stroke. Stress management. 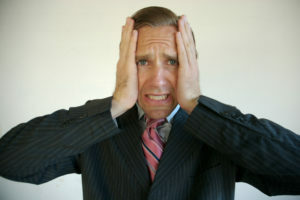 Chronic stress increases cortisol which directly influences your insulin levels and metabolism. It also plays a role in chronic inflammation and your immune system. Well-documented research links depression and stress to a rise in the inflammatory markers, such as CRP, signaling an increased risk for atherosclerosis and coronary heart disease (CHD). One study showed that a depressive state increases the odds of developing CHD by 50%. 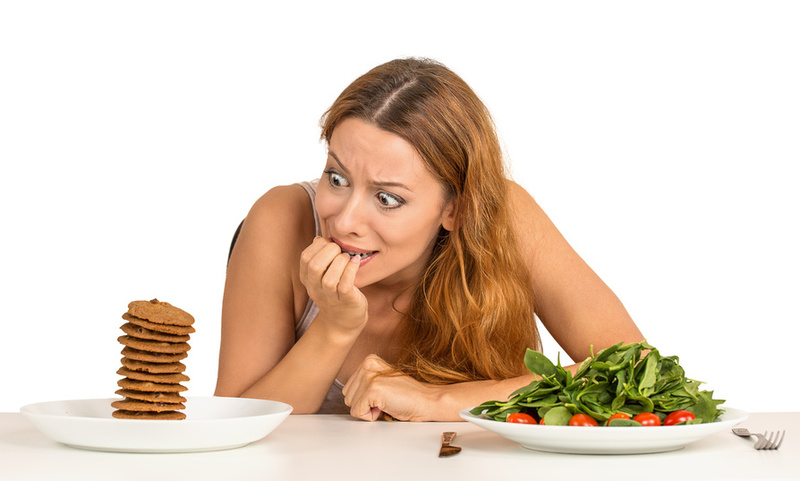 Read my blog post on dietary tips to manage stress. Quit smoking if you smoke. Not much else to say on this one! Limit sugary foods and beverages as well as refined carbohydrates and grains,such as white bread and pastries and other highly processed and fast foods. The American Journal of Clinical Nutrition warns that processed sugars trigger the release of inflammatory messengers called cytokines. 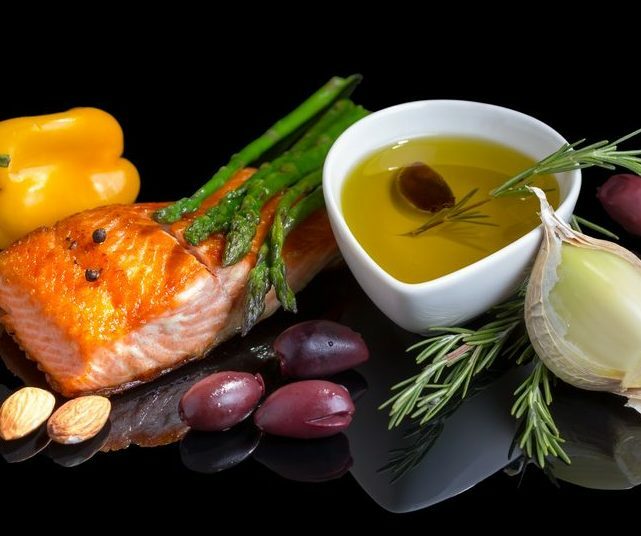 High-glycemic index foods also fuel the production of advanced glycation end (AGE) products that stimulate inflammation. Choose slow-digesting carbs found in vegetables, legumes, fruits and whole grains. They are good sources of fiber, fatty acid composition, magnesium, carotenoids, and flavonoids. Eat foods good for the gut, including fermented vegetables and traditionally cultured foods. 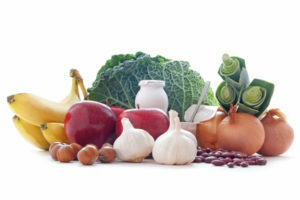 Optimizing your gut flora is important for a well-functioning immune system, and helps ward off chronic inflammation. 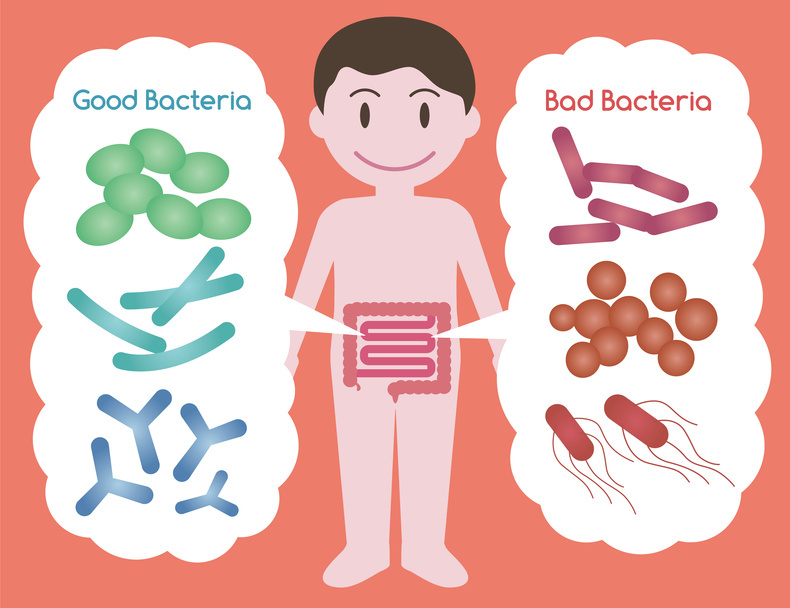 It’s believed that the majority of inflammatory diseases start in your gut, as in the result of an imbalanced microbiome. Fermented foods such as kefir, natto, kimchee, miso, tempeh, pickles, sauerkraut, olives, and other fermented vegetables, will help ‘reseed’ your gut with beneficial bacteria. Exercise on a regular basis – but don’t overdo it! While exercise in moderation plays an important role in decreasing inflammatory markers, going overboard can have the opposite effect. I’ve often had clients workout 2 hours a day 5-7 days a week in attempts to lose weight. This can do more harm than good. Moderate exercise at lower intensities is the better course. According to most studies, exercising under the 70% effort level seems to be the baseline for reducing inflammation and stress hormone levels. Moderate exercise efforts for up to 60 minutes can reduce inflammatory markers, increase positive neurotransmitters (e.g., serotonin and endorphins) and improve brain chemistry. Moderate intensities also stimulate the growth of new brain cells, neurons and capillary growth to muscles and neurons. Now this doesn’t mean you can’t throw a few intense HIIT sessions or some long cardio sessions into your workouts … just avoid the “more is better attitude”when it comes to exercise. Avoid partially hydrogenated oils/trans fats, such as those found in some stick margarines, fried foods. prepackaged baked goods, flavored coffee creams (liquid and powder), some brands of shelf-stable peanut butter, and chocolate- or yogurt-coated snacks. 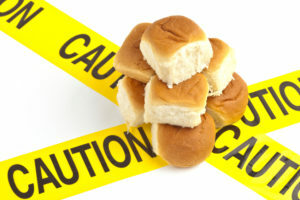 Look for partially hydrogenated oils in the ingredient labels – and stay away! Limit fried and charred foods, which are high in advanced glycation endproducts (AGEs). 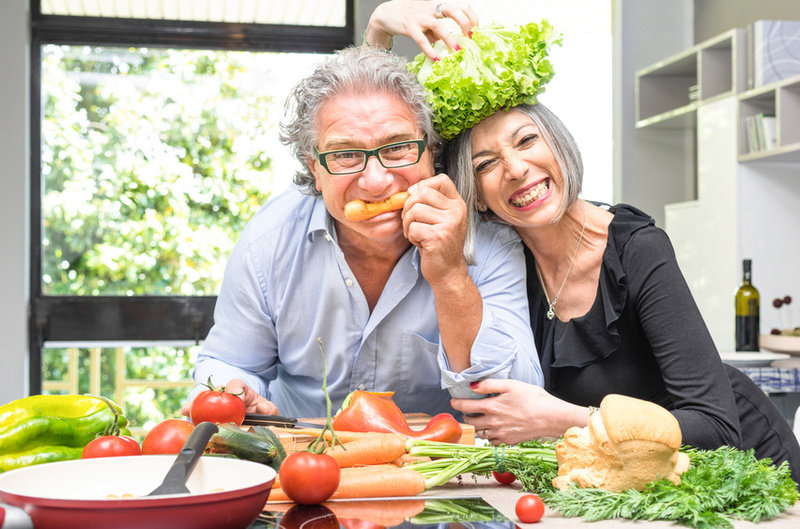 Dietary AGEs are pathologic substances that have been implicated in the development and progression of various metabolic and chronic diseases. As the warm weather approaches, be careful not to get your meat too charred on the grill. Using an acidic marinade can help decrease AGE’s as can cooking over lower heat. 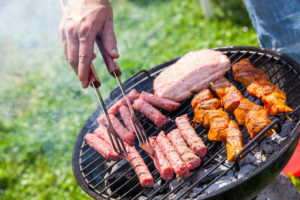 Limit red meat (burgers, steaks) and processed meat (hot dogs, sausage) as they tend to be inflammatory. Individual food sensitivities may trigger an immune-based reaction which can lead to inflammation. Common allergens like casein and gluten (proteins found in dairy and wheat) are quick to spark the inflammatory cascade. If you think you might have a food sensitivity, try going on an elimination diet for two weeks to see how you feel. 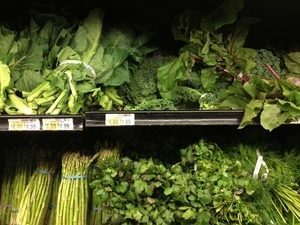 What habits do you have that are “inflammatory” or “anti-inflammatory”? Women to Women. Causes of Inflammation.